You can stick Kevin Durant on the Golden State Warriors. 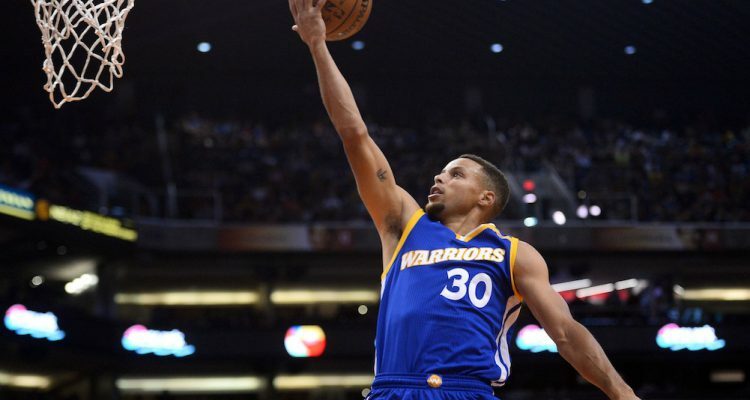 You can have Klay Thompson take quantum leaps on offense. 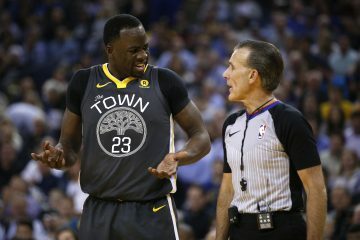 You can have Draymond Green become one of if not the best two-way big man in the NBA. 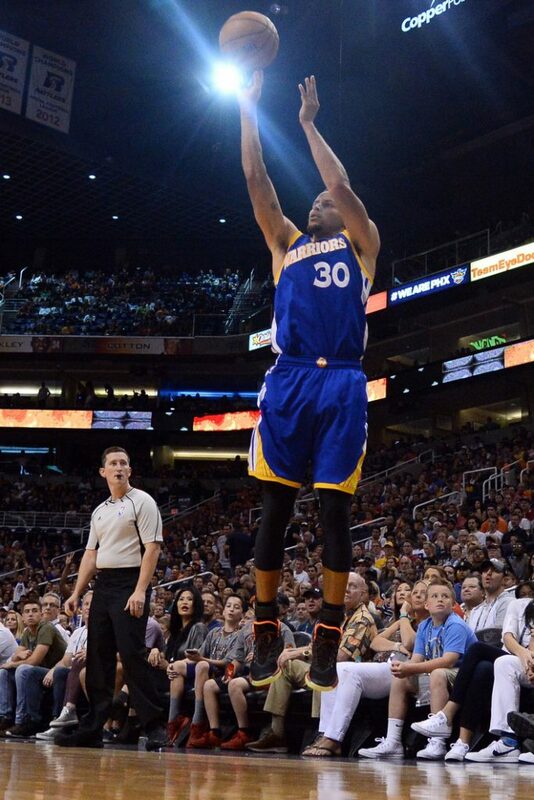 You cannot, however, take away Stephen Curry’s place as the most important player, and MVP, of this team. 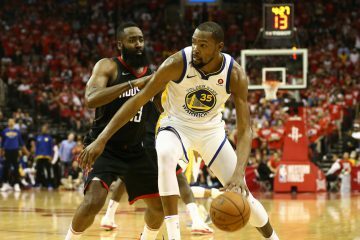 The Warriors got to this level by starting on the defensive end, locking in and suffocating perimeter guards and wings with active frenzied hands. The first half watched this new Andrew Bogut-less interior team try and swarm the Portland Trail Blazers. Draymond Green and Andre Iguodala locked in and the rest worked itself out, as it has in the past two seasons. Then the cathartic release the Warriors have been seemingly waiting for finally arrived. It wasn’t Thompson mired in a shooting slump. Nor Durant who was brought in to relieve some of the offensive load. Or Draymond Green who has come up in big spots like Game 7 of the NBA Finals. Instead, it was the old standby doing it again, smoking trey after trey in his favorite quarter. 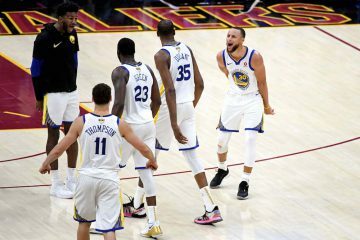 The trademark quick trigger was back, the comfort flying into the paint drawing contact popped up, and the cocky celebrations came roaring to the forefront for a team that thrived so much in this happy chaos. 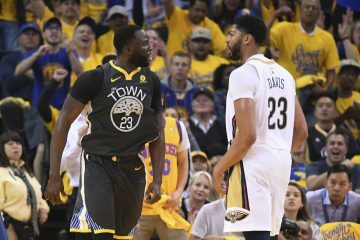 While the attacking perimeter defense and KD and Dray’s length between the opponent and the rim kept the Warriors in the game, the all too familiar burst of light pushed the game out of reach and into the Warriors long list of blown out victims in Steve Kerr’s era. Curry’s offseason consisted of a lot of slander, rehab, and a long victory ride for all point guards not named Steph. So here he is again, back healthy, back in regular season form, and this time armed with an arsenal set to destroy the rest of the NBA as it appears they got together for. Tonight felt like a long time coming for the Warriors, in Game 4 of a very long season. They’re hoping it’s just the start.